NB: THIS INDICATOR SHOWS MUCH DETAILS AND CORRECT SIGNALS ONLY ON THE CURRENT DAY'S CHART. PAST CHARTS AND STRATEGY TESTER DOESN'T SHOW MUCH POTENTIAL. It is an indicator for the current day's market purposely. 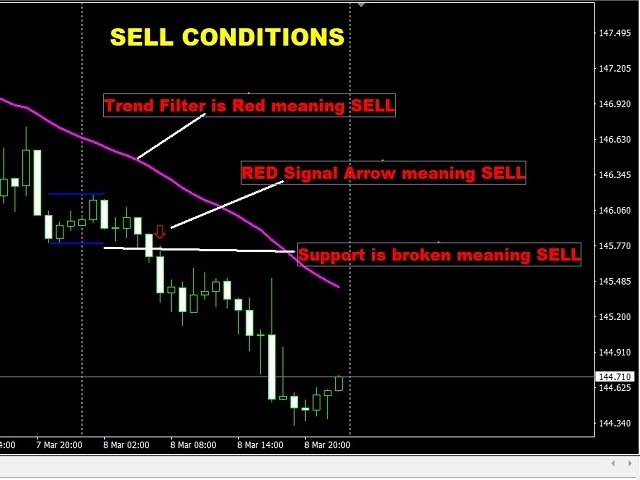 ONLY FOR SCALPING AND INTRADAY TRADING. It signals in the direction of only the intraday trend. It should never be used for swing or long term trading. It is just for the current day. Try as much as possible not to carry trades over to the next day. Use ONLY timeframes: M1,M5,M15,M30,H1. 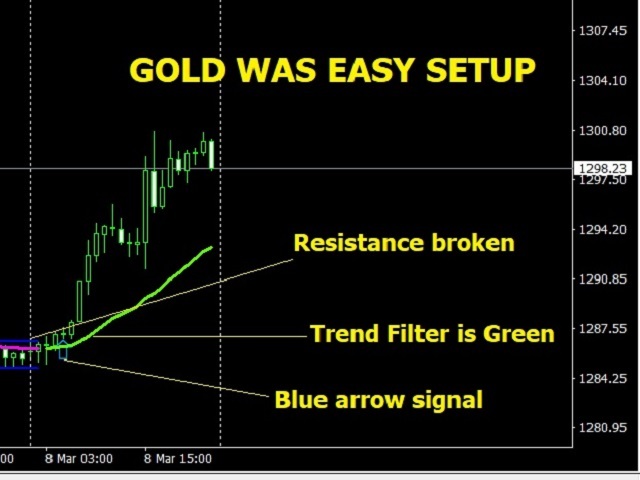 It is prudent to trade only pairs that make a lot of pips movement everyday, example: GBPJPY, GBPAUD, GOLD (XAUUSD), EURAUD, etc... Use Trailing Stops too. 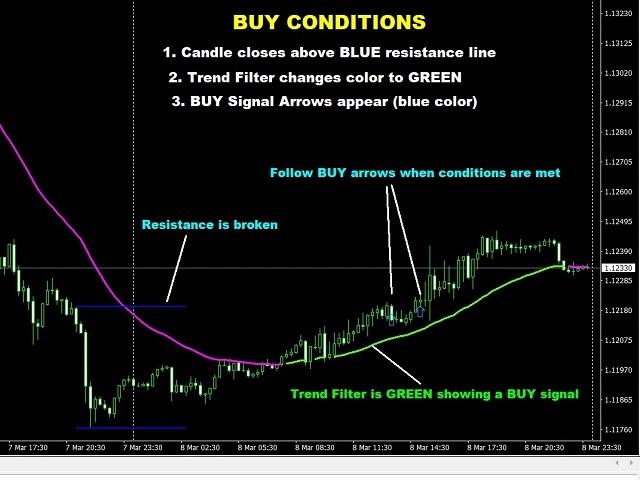 FOR LESS BUT RELIABLE SIGNALS, CHANGE THE TREND FILTER TO A HIGHER FIGURE, example 120, 144, 200, etc. This is a very reliable intraday and scalping indicator for those who trade just for the day. Contact me for any clarifications you need. NB: I HAVE CREATED THE EA(TRADING ROBOT) FOR THIS INDICATOR. It is amazing!